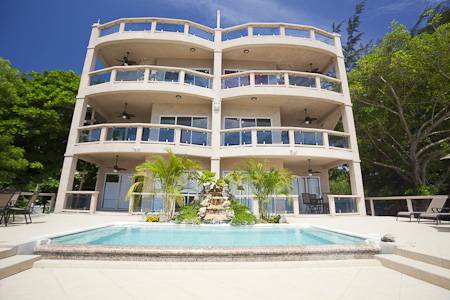 We are located right on the beach, each condo has a balcony with a waterfront/oceanfront view of the sunset. 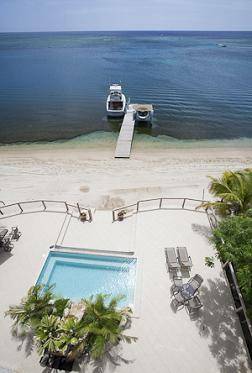 We are steps away from the water where we have our own dock with boats for charter for diving, fishing, or trips to other local islands. 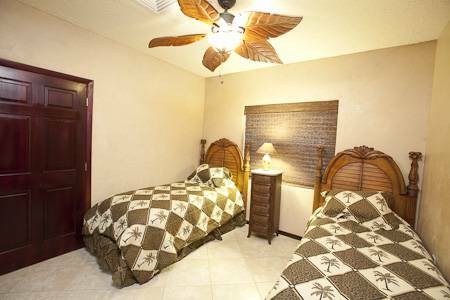 Each condo is luxurious with granite counter-tops, flat screen TV's, beautiful large kitchens, with tommy bahama furniture, private balconies, each room has private bathroom with vessel sinks with walk-in shower. Each condo has a full stainless steel kitchen, TV's with cable in every room, a DVD player in the living room, and washer and dryer. 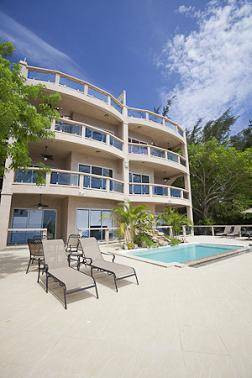 We have 5 rooms for rent, two 2 bed 2 baths, two 3 bed 3 baths, and a Penthouse. The 2 bed 2 baths have a king in the master, 2 twins in the second room, and the couch folds into a queen sized bed. Full kitchen and living room, washer and dryer, and balcony. The 3 bed 3 baths have a king in the master, a queen in the second room, 2 twins in the third room, and the couch folds into a queen. Full kitchen and living room, washer and dryer, and balcony. The Penthouse is just like the 3 bedroom but has its own private rooftop with another kitchen with BBQ pit, private pool, and bar. We are located in a quiet area of west end, but still close enough to walk to the night life and restaurants of west end. There is a grocery store within walking distance as well. 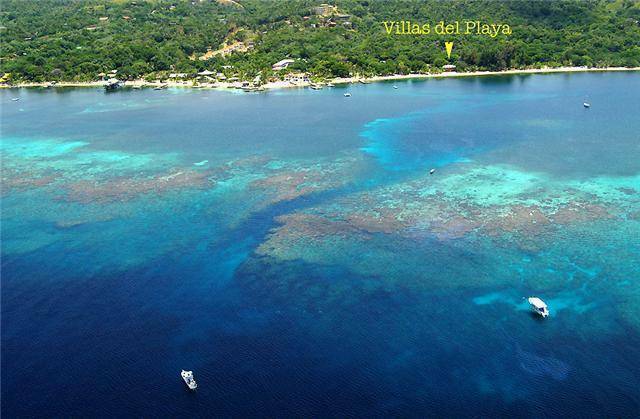 We are right in front of the blue channel one of the best snorkeling spots. We require a 25% deposit to reserve your room. 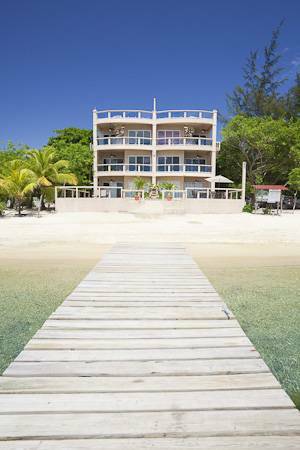 We are located right on the beach in West End, between half-moon bay and west bay. We can call you a taxi or you can catch a water taxi from our dock right out front.